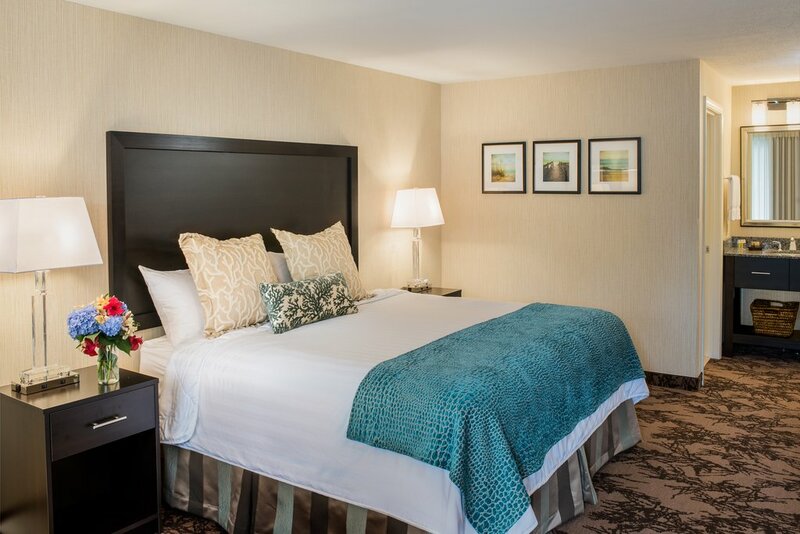 Find the comfort you’re looking for in our Accessible King Room and embrace the fresh air of the Kennebunks. Our accessible Kennebunk accommodations are close to the parking lot for easy access to your car and a streamlined path in and out of the Port Inn Kennebunk for wheelchair users. Hospitality is not only our service, but also our passion and it’s our goal to provide comfort and convenience to every guest. 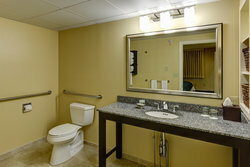 The oversized bathrooms allow for a larger turning radius, and include a shower seat and grab bars. Included in this bright room is all the same excellent in-room amenities, such as free Wi-Fi, pillow-top mattress, and mini-fridge. Allow yourself to become enveloped in the beach-inspired décor with bright whites and cool blues. Our Accessible King Rooms will truly become your oasis from the world, with lots of plush pillows and our quiet location away from city noise. Enjoy a complimentary and locally-sourced upscale continental breakfast each morning of your stay before embarking on your day in Kennebunk. 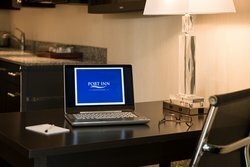 Don’t hesitate to contact our front desk with any questions or concerns you may have prior to booking. 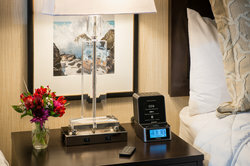 We want to ensure that you have the most comfortable stay in the Kennebunks as possible and are happy to accommodate.